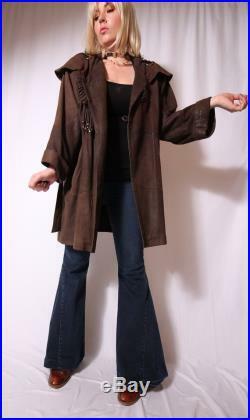 This is a rich brown leather wrap jacket with a shawl layover. The shawl is covered in gold rings. The front cross buttons with a unique button closure. 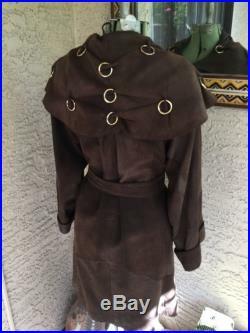 There are fringe dangles from the buttons. 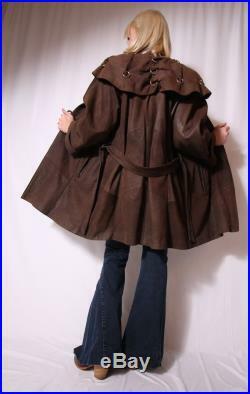 It is fully lined and has pockets. I believe this is german or austrian but i don't recognize the language on tag mentioned above. The tag says size small but this can fit multiple sizes. 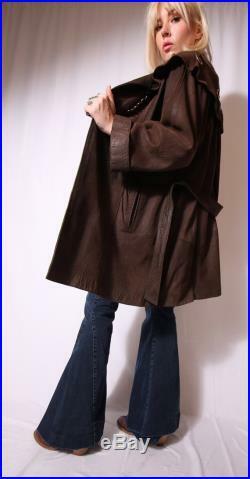 The leather is very high quality and soft. It will fall to fit your shape. 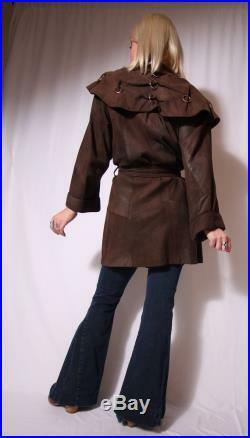 Size small taken with garment lying flat:length 36"bust 23"waist 22" (uncinched)sleeve 21".